More often than not, bearing failures and system shutdowns can be linked back to lubricant system contamination. And contamination can be linked to unprotected breather vents. That's why Des-Case Corporation has tailored drying solutions specific to the pump market with its line of VentGuardTM desiccant breathers. Now it's easier than ever for pump users to keep lubes running clean and dry. Des-Case technology keeps dirt and water out, and uptime in. Disperses air evenly over filter media and silica gel. 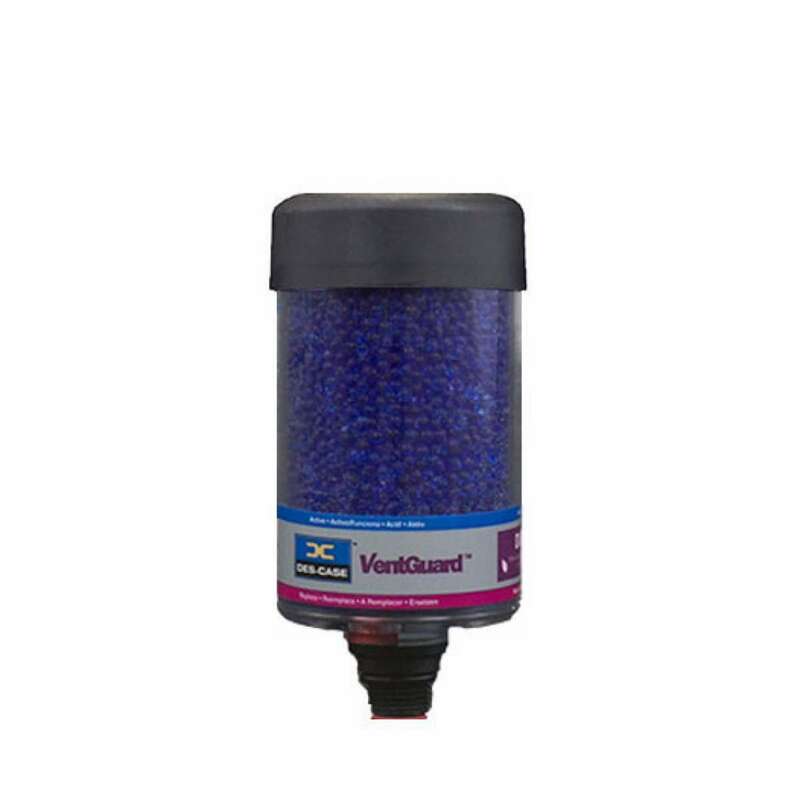 The patented polyester filter captures particles as small as 0.5 micron (73.5% efficiency), 3-micron absolute / beta-3 > 200. Silica gel/desiccant removes water from incoming air, extending fluid and system life. Expansion chamber creates a nearly sealed system. Dual check valves provides slight system pressurization, protects system integrity.